The Deltrix Nano enjoys the same comfortable ergonomics of the original, in a more compact EDC friendly design. It embodies the very definition of a tactical combat folder and is built as such. 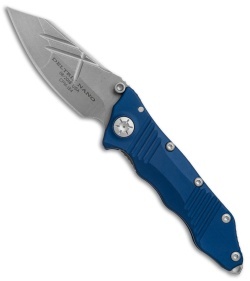 This Deltrix Nano model is outfitted with a stonewashed CPM-154 stainless steel blade and a blue aluminum handle. Stonewashed hardware and a tip-up pocket clip finish off the impressive EDC design. 16 ball-bearing pivot provides quick one-hand opening with dual ambidextrous thumb studs. 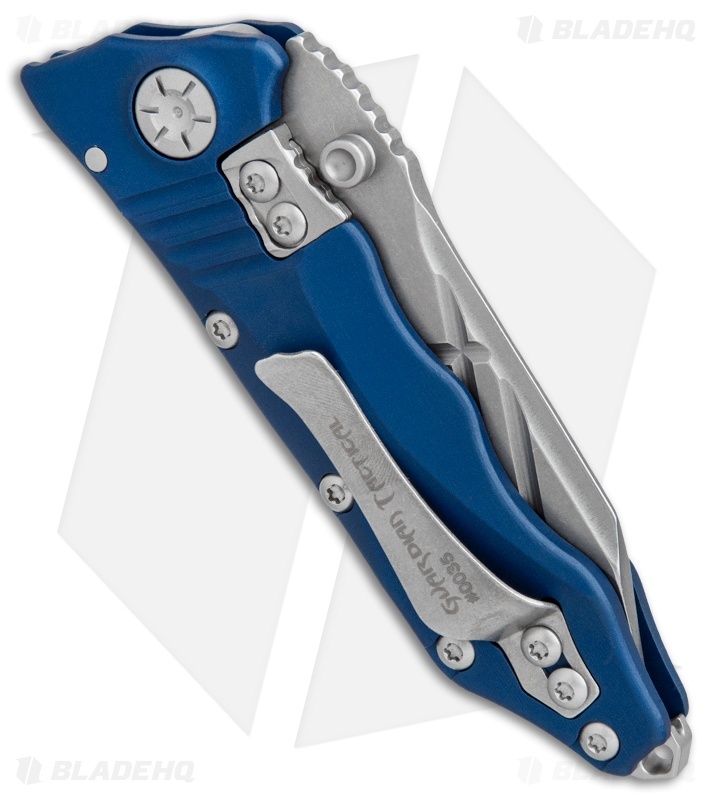 Integrated lock bar with a replaceable hardened steel insert offers rock solid blade lock up. 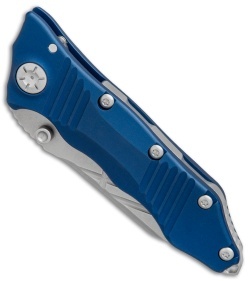 Recessed and contoured pocket clip for comfortable use and carry.